Mary Alice Beck Forbis was John Scott Beck’s sister. Listed as buried in the Forbis Cemetery without headstones. This cemetery is one of three cemeteries that are side by side. The Carter Cemetery is the southern most. 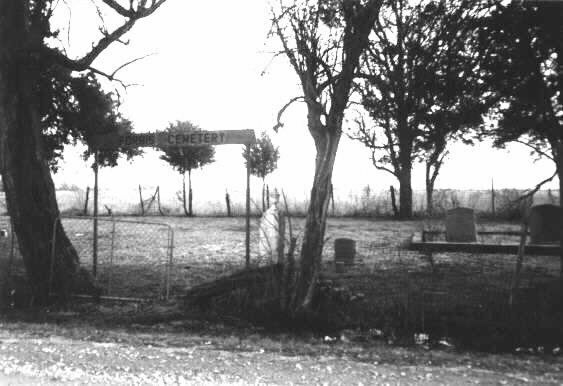 The Forbis Cemetery is in the middle with the Garner Cemetery on the north. The three cemeteries are listed on the maps as the Forbis Cemetery. In Vol. 300, p 641, .37 of an acre of land is set aside for the cemetery. Even though the deed was made by the Garner family, I do not believe that it includes the Garner Cemetery. The cemetery is also set aside in Vol 422, p 578. At one time the Forbis family owned part of the land around the cemetery. The deed to the T. C. Forbis family is listed in Vol X, p 311 and Vol L, p 397. The Forbis Cemetery is the largest of the three cemeteries. It has a wooden sign across the entrance that says "Forbis Cemetery". There is a pipe arch in front of it that has "F C" with praying hands in the middle. It has been added since 1992. The cemetery is fenced with a wire fence and a chain link gate. It is receiving some care. The grass is cut a couple of times a year. Remains have been removed from this cemetery to ones that have better care.